In the Mood for Late Night Pizza Delivery? Sometimes, you need a midnight snack; and what’s better than a nice, hot pizza? You don’t even need to leave the house! Place an online order for late night pizza delivery with Pop Up Pizza or call (702) 366-0049. We’re open every day from 11am-2am; and because we use only the freshest ingredients in our homemade tomato sauce and perfectly baked crusts, you won’t find a better pizza anywhere in Sin City. Yes–you can order your Fremont Street pizza delivery with dairy-free cheese! 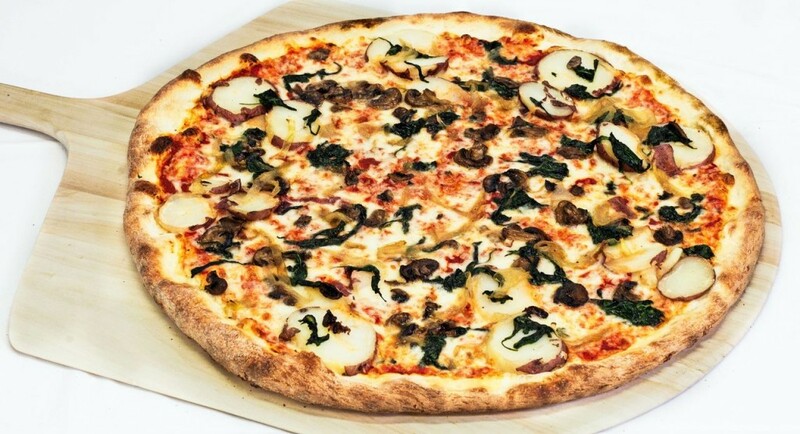 We serve up some of the best vegan pizza in Las Vegas. Buy nine slices and get the tenth for free, and don’t forget to like us on Facebook for more great deals and coupons.